Since 1948, WVCH has been The voice for Christian Ministries, airing the nation's finest evangelical Christian programs to the Greater Philadelphia - New Jersey - Delaware Valley area. One radio station to do so on a daily basis, when it was not the popular trend. One station whose owners believe and practice what good evangelical pastors preach and teach. The owners are committed to this broadcast ministry and in the success of each ministry they serve. 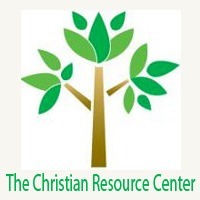 The ownership seeks to maintain a most responsible position in the industry and in the Christian Community. WVCH places a great value on loyalty to its listeners and clients and its listeners' and clients' loyalty to WVCH, a partnership we have enjoyed for over 50 years! WVCH is a Christian family owned and operated business, with a tradition of integrity and innovation. Our tradition is built on responsibility, resources and results! WVCH has been blessed to have made many ministries part of our broadcast family for 20-30-40 even 50 years! WVCH is not old, we are experienced! Allow us to use our experience to help you take the tool of radio and grow your business or ministry. Are you wanting to advertise your church, school, ministry, business or upcoming event? Email your request to Charlotte Cosden today.